Historic Christmastime Holmdel House Tour to Benefit Local Charity Doing Work Overseas for Ugandan Orphans - December 3, 2016 ~ The History Girl! With Holmdel being one of the oldest sites of European settlement in the Garden State, it’s no surprise that many of its homes date back to the 1600s. But one doesn’t often get the opportunity to experience that history pre-dating the Revolutionary War. However, now you’re in luck. 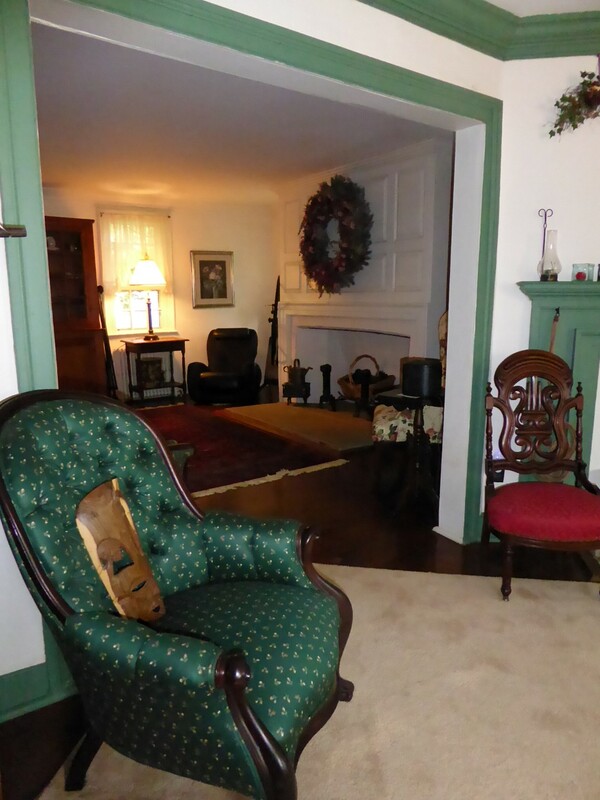 On December 3 from 10:00 a.m - 4:00 pm, Holmdel will host a Historic House Tour, which will give folks the chance to finally get a taste of American history with an intimate tour of some of New Jersey’s oldest and most private landmarks. As frost begins to coat the grass, just a week short of the start of winter, individuals can embark on guided tours of a number of Holmdel’s most significant and oldest structures. Some of these will include the Samuel Ogbourne House, a private residence dating back more than 300 years; the Kouvenhoven House, built in 1699; and the Holmdel Community United Church of Christ, which was built in 1705. Originally owned by Richard Stout, Jr., the son of the first settlers of Monmouth County, the Samuel Ogbourne House was initially a farm property constructed by the Ogbourne family after they acquired the land in 1712. The house is part Georgian-style, part Federalist. Visible inside the historic home are oversized chestnut beam ceilings, antique spinning wheels and furniture, sash windows with their original glass, and six fireplaces. An interesting side note is that Ogbourne was a trustee of what is currently the Holmdel Community United Church of Christ. Constructed in 1699, the Kouvenhoven House is the only privately owned home in Monmouth County listed on the National Register for Historic Places. Tours of the home will explore the original frame and posted beams, many of its original fixtures and Dutch bedroom doors, built in cabinets, and handblown panes of glass. 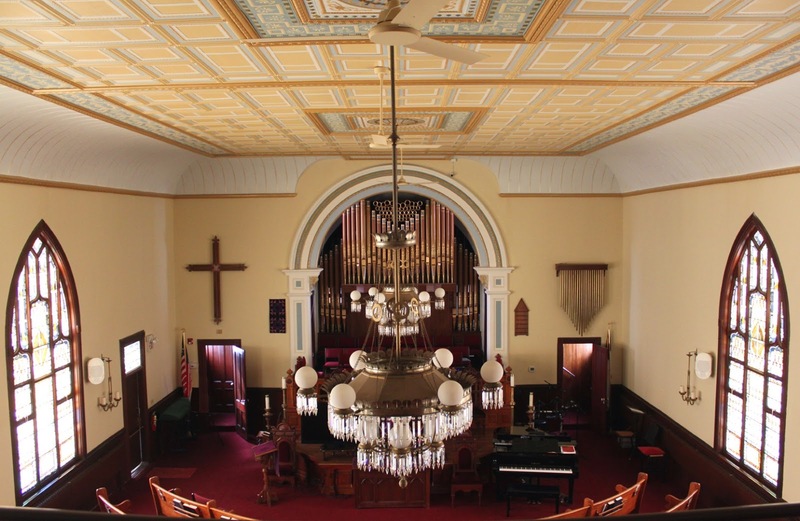 Dating back to 1705, the Holmdel Community United Church of Christ was originally constructed because of a land grant from Reverend John Bray, a Baptist lay minister and farmer who donated five acres to the church. The property is where the Baptists originally came after looking for religious freedom. 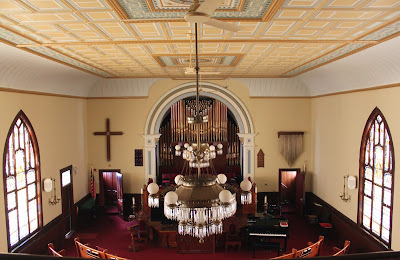 The church was rebuilt in 1809 and renovated in the 1890s with new stained glass, tin ceiling and a pipe organ. The original beams are from the 1705 church. The back cemetery has a lot of Revolutionary War history. The church’s Minister of Music Susan Davies will be playing Christmas carols on the beautiful pipe organ in the sanctuary for those on the tour to experience, as well as sharing some fascinating information and history about the pipe organ itself. Tickets for the Historic Holmdel House Tour can be purchased for $35 prior to the date of the tour by calling Allen Consulting at 732-946-2711 or by visiting www.allenconsulting.com. Tickets purchased on the day of the event will be available for $45 and can be purchased at the church. Individuals attending the tour can park at the church (40 Main St., Holmdel) and hop on a tour trolley. Proceeds from this event will be donated to Sylvia’s Children, a 501c3 Holmdel-based nonprofit doing work to improve the lives for more than 1,000 children living in Uganda, Africa. For more information, visit www.allenconsulting.com or www.sylviaschildren.org.